The female suspect who hid from police first in the trees, and then in a resident’s pickup has been identified. 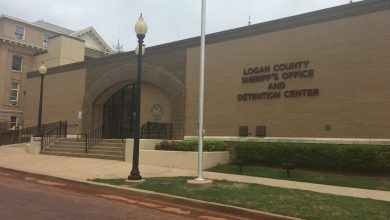 Ashleigh Marie Smedley, 26, was booked into the Oklahoma County Jail early Wednesday morning after spending the day at the Edmond jail being interviewed about a long list of recent criminal activity. She was arrested by Luther Police on Tuesday morning after a 16-year-old discovered her in the back of his vehicle. 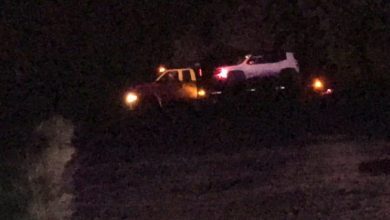 She eluded authorities all night after ditching a stolen vehicle on Sorghum Mill between Triple X and Peebly Roads late Monday night. Authorities searched for her for a couple of hours using a helicopter and a canine unit as well as several officers from nearby agencies. After the police left, Smedley allegedly left the tree and crossed a pasture to a nearby residence and hid out in the teen’s pickup. 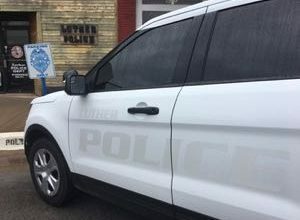 Edmond investigators allege Smedley has been involved in a crime spree involving stolen vehicles and property in southern Logan County and northern Oklahoma County. Currently, the charges she faces so far include a felony count of aggravated attempt to elude a police officer, second-degree burglary, several counts of possession of a Controlled Dangerous Substance with intent to distribute, possession of drug paraphernalia and marijuana and unauthorized use of a vehicle. 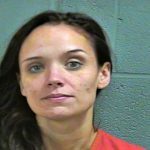 Court records show an Ashleigh M Smedley is serving a five-year deferred sentence out of Lincoln County on 2014 charges of unauthorized use of a vehicle and driving without a license. As for the other two suspects, authorities have not searched the area for them. Luther Police Chief David Randall said Edmond investigators “feel strongly that they are not in our vicinity,” based on their addresses.